800 VA single phase isolation transformer is 50Hz/ 60Hz rated, designed to step up low voltage 110 volt to 240 volt, step down 240 volt to 110 volt version is available, provides increased reliability and higher efficiency. Dry type single phase isolation transformer with 1 kVA capacity, is design to use in AC circuit 50Hz or 60 Hz, transform 240V primary voltage to 120V secondary voltage. Encapsulation and IP20 protection grade of the enclosure protect the transformer from dust, moisture and provide extra shock and vibration resistance. Best price isolation transformer with 2 kVA power rating, is available in the circuit of AC 50Hz/ 60Hz. It mainly steps down single phase voltage 240 volt to 110 volt, steps up 110 volt to 240 volt transformer is available, suitable for both indoor and outdoor applications. There's no fuse on the high and low voltage side of the step up & step down isolation transformer. Some isolation transformers may have equipped with fuse switch or horn fuse, but the fuse is generally replaced by the aluminum or copper wire, which makes the fuse unable to fuse normally and thereof causes the burnout of transformer when low-voltage short circuit or overload. 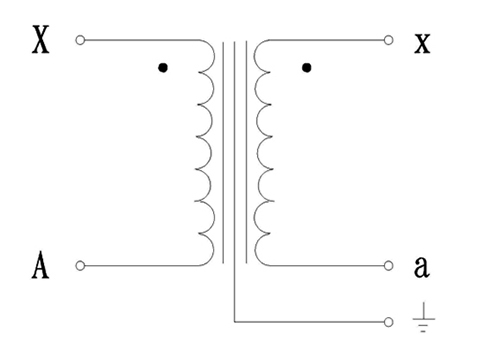 The high and low voltage fuses of isolation transformers are not properly configured. The fuse on the transformer is generally over configured, so when the isolation transformer is seriously overloaded, the transformer is burnt. Oil leakage is the most common external abnormal phenomenon of isolation transformer. The transformer is filled with oil, and all joints are equipped with plastic beads and rubber pads to prevent oil leakage. After running for a long time, some plastic beads or rubber pads in the transformer would be aging and cracking and cause the oil leakage, as a result, the insulation will be dampened and its performance reduces, thus leading to discharged short circuit and burning the transformer. Most of the high and low voltage wires of the 2 kVA isolation transformer are introduced by overhead wires. As the lightning arresters are not timely installed or 10 kV lightning arrester is not installed, the transformer is burned out due to lightning strike. Some isolation transformers are not configured with primary protection, or they have been configured with primary protection, but the action and reliability of the primary protection are rather low, some even can't act at all.